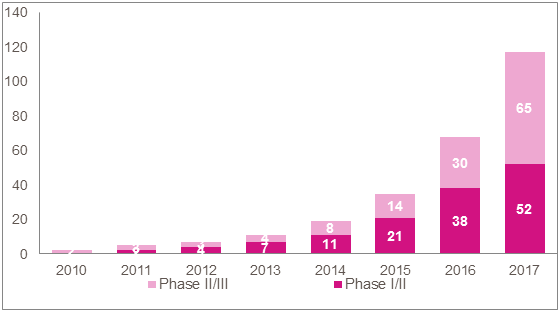 Recent years have seen the emergence of new effective immunotherapies. These molecules, mainly monoclonal Antibodies (mAbs), present a novel mechanism of action: by blocking co-inhibitory receptors expressed by activated T cells they unleash their effector functions. The first generation of these immune-targeted mAbs which block immune checkpoint receptors such as CTLA4* and PD1 ** have revolutionized the treatment of metastatic melanoma skin cancers with response rates and overall survival exceptionally increased. The PD1/PD-L1 blocking mAbs have also shown their ability to extend the patient’s survival in some cancers of the kidneys, lungs, bladder and head & neck. Their use in the treatment of other advanced cancers are currently being explored. A new generation of treatments against cancer is born! 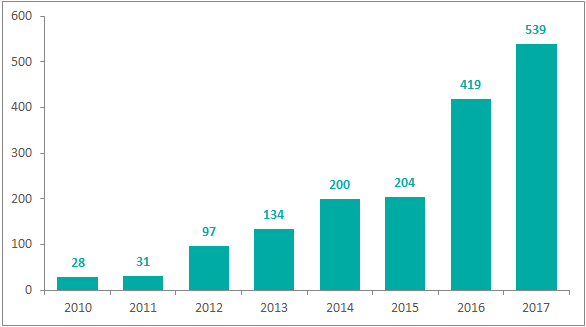 In 2015, Gustave Roussy launched an Institutional Program dedicated to Immunotherapy: the GRIP (Gustave Roussy Immunotherapy Program). This program aims to strengthen Translational Research on these new treatments, and accelerate the Clinical Development of Immunotherapy, in order to facilitate access to these treatments to a larger number of patients. Initiated by Professor Alexander Eggermont, General Director of Gustave Roussy, the GRIP program is under the Clinical Direction of Dr. Aurelien Marabelle and under the Scientific Direction of Professor Laurence Zitvogel. By reactivating the immune system against cancer cells, these immunotherapies may sometimes provoke auto-immune reactions. These reactions are new and necessitate specific management. In addition, some rare adverse events are potentially severe and require early detection. 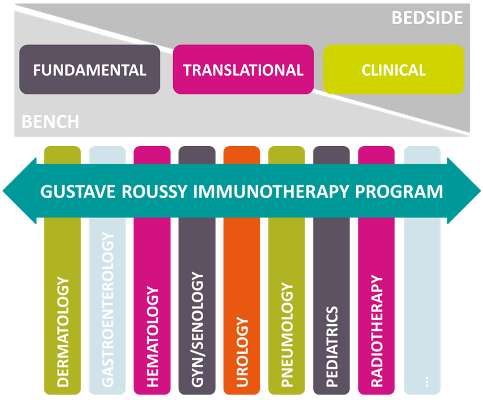 As part of GRIP, Gustave Roussy has implemented a program designed to manage the adverse effects of immunotherapies. This program has 4 components: a network of organ specialists, institutional management guidelines, the REISAMIC (Registry of Severe Adverse Effects of Immunomodulating Monoclonal Antibodies in Cancer) pharmacovigilance registry, and dedicated multidisciplinary team (MDT) meetings.